Huda Beauty Takes Muse From Actress Jacqueline Fernandez To Launch The Product Of Your Dreams!! Huda is the name that rules the world of makeup and makeup blog. Anyone who is a makeup fanatic will be familiar with the maestro herself. Huda Kattan started her makeup empire and the first product she sold was fake eyelashes and now Huda Beauty is one of the most popular and demanded makeup brand in the world. From foundations to concealers to eyeshadow palettes to contouring products, there is nothing that you cannot buy from Huda Beauty. Jacqueline Fernandez was seen travelling back and forth to Dubai recently but the reasons were unknown. While we thought that the actress must be enjoying her vacations or must be preparing for her another movie project. It was no less than shock to know that our favourite actress became the muse of one of the most renown makeup brand and collaborated with it to launch glamorous eyelashes. 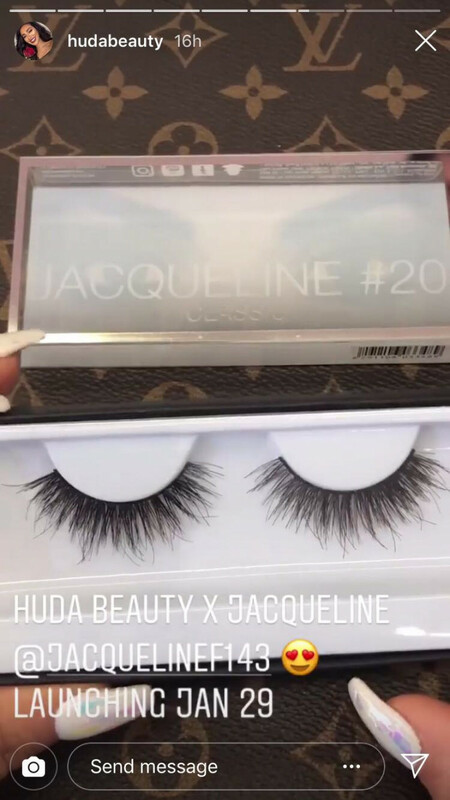 Huda Beauty collaborated for the first ever time and that too with our favourite actress to drop the amazing, bombshell HudaBeauty X Jacqueline Eyelashes. The eyelashes are natural yet dramatic and look glamorous. 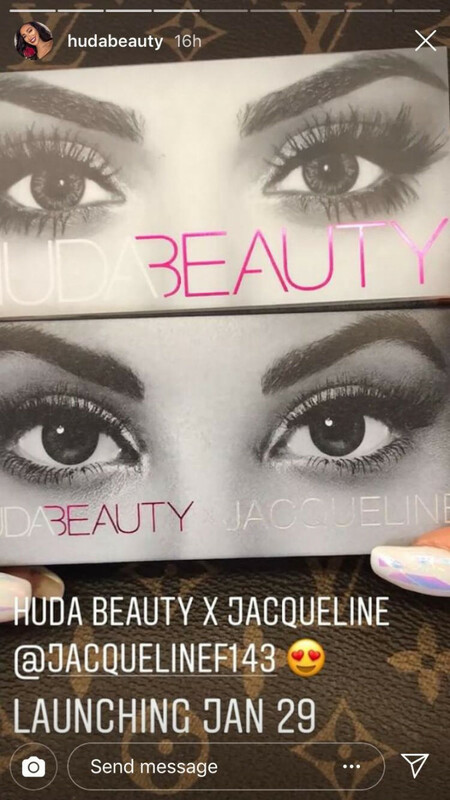 For the first time ever the Huda Beauty product is being launched without Huda's picture on the box and instead there is a picture of Jacqueline Fernandez's beautiful cat like eyes to highlight the lashes. Too many first's, don't you think?!! But we are not complaining at all. The lashes will be launched on 29th of January and so all you makeup junkies be alert and super ready and grab them as fast as you can before they get sold out! !